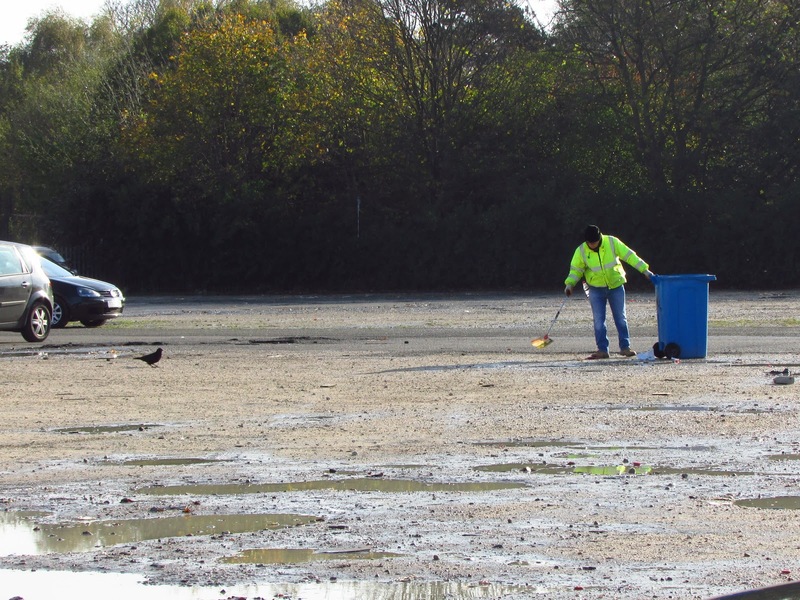 and walking amongst the huge puddles left by yesterday's rain. Some patrolled just over the paths, elaborately flying slowly, sometimes almost hovering - in black-headed gull style - scouring the ground. Soon it became apparent what they were after. 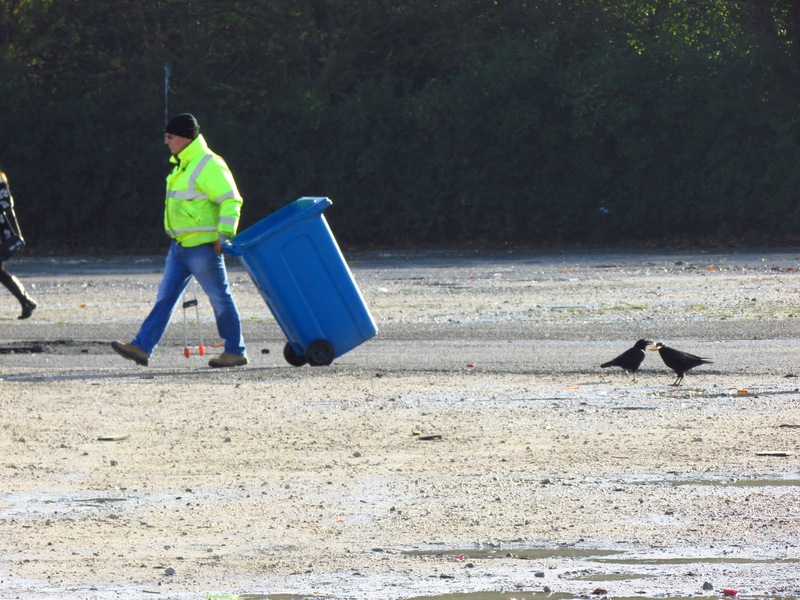 No, they weren't hunting for antique bargains, but taking advantage from the fast food bonanza that inevitably follows human crowds. 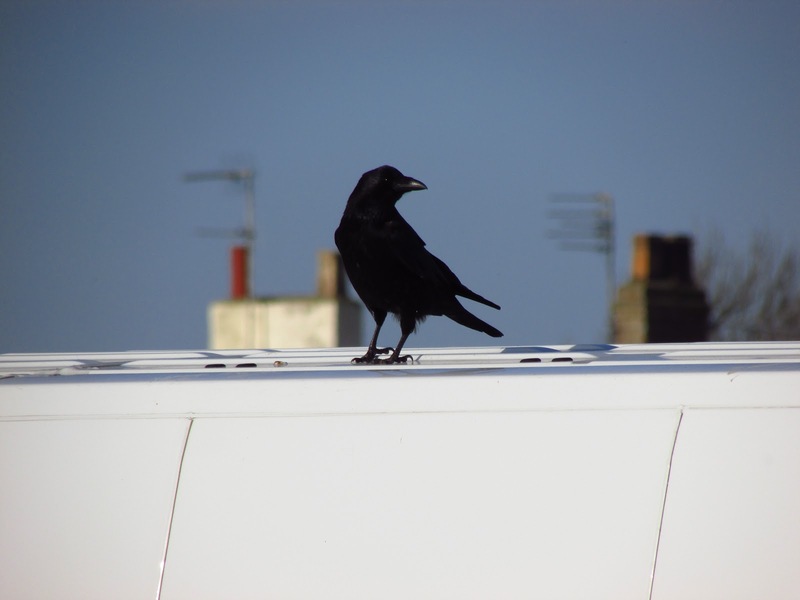 I watched as one individual landed on the roof of a van, triumphantly holding half a hot dog sausage in its bill. 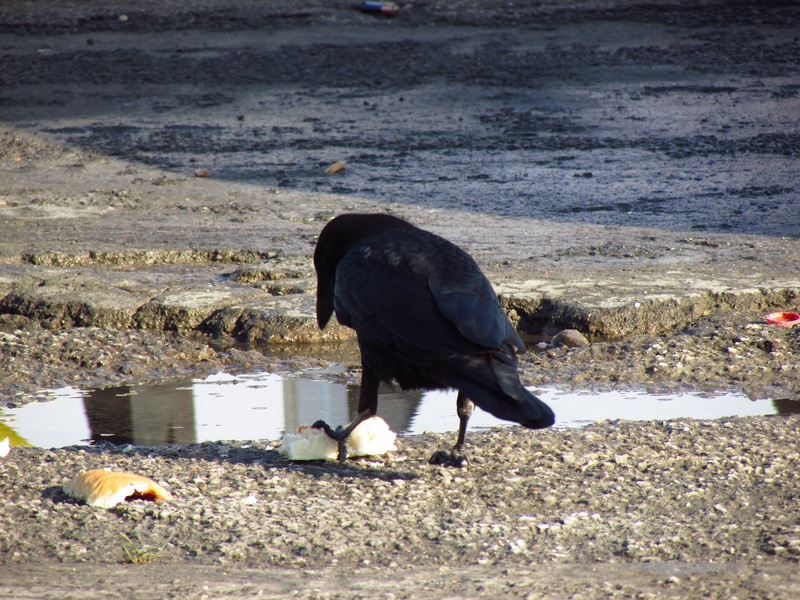 while the other, less fortunate crows contented themselves with bread smeared on ketchup. 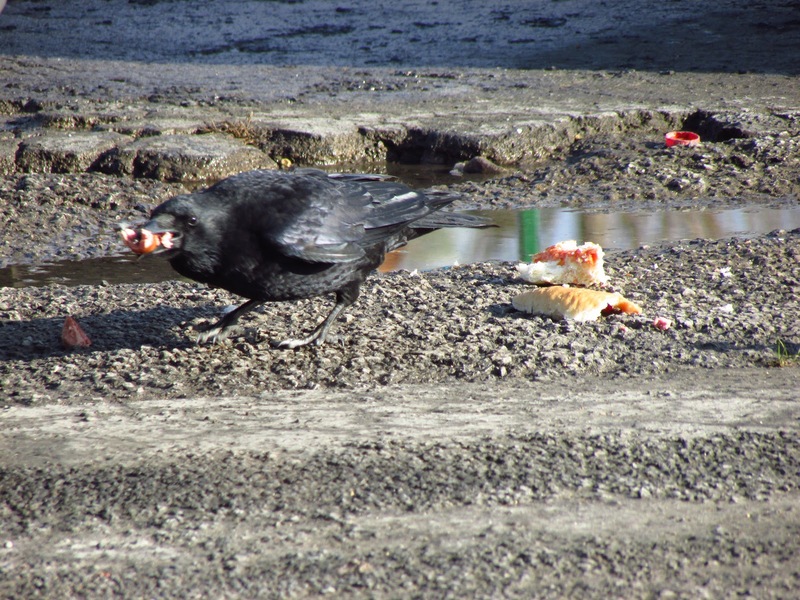 We associate scavenging behaviour with dirt, rotten food and germs, but I doubt the hot dog had been on the ground longer than the five-second rule allows, before it was cleared up, taken away by the crows. 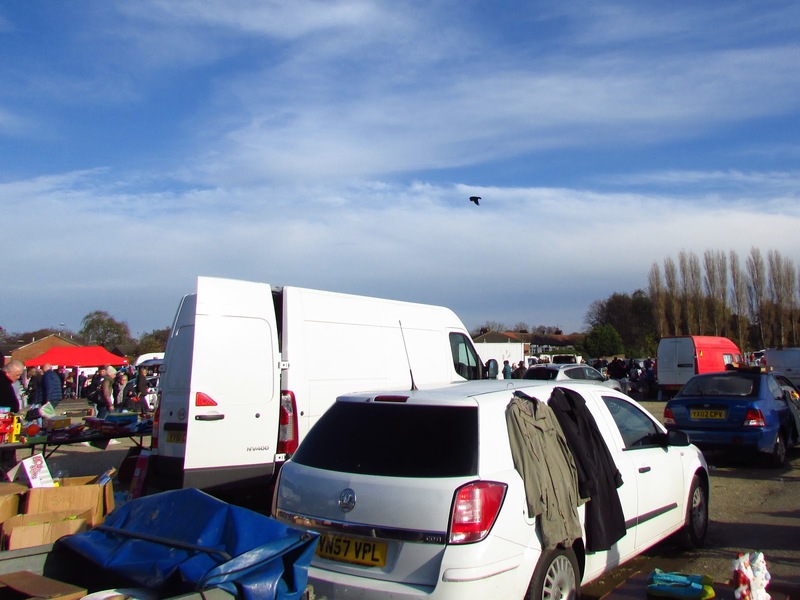 There were many gulls and starlings about, but I didn't see them take advantage of the market food. 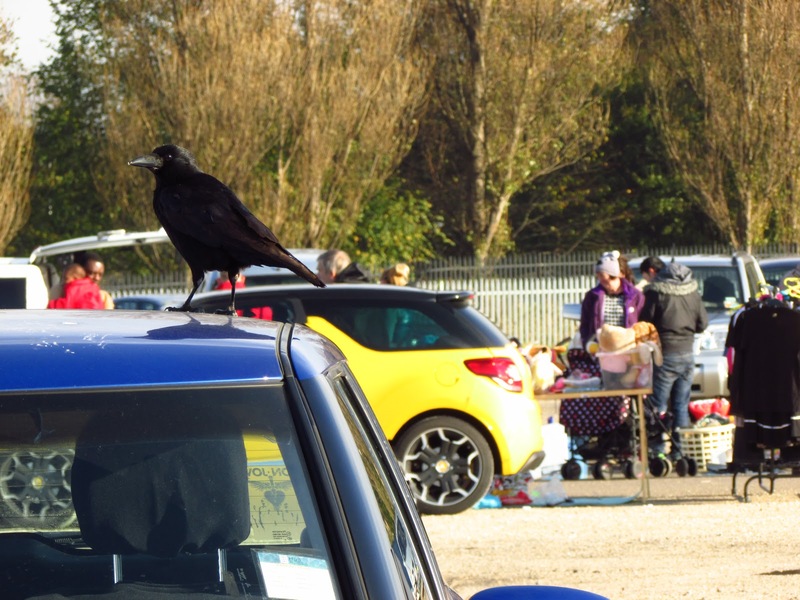 Crows appeared bolder, and cheekier than in other places, maybe they are all locals used to take advantage of the markets - and Hull Fair - and are used to people. 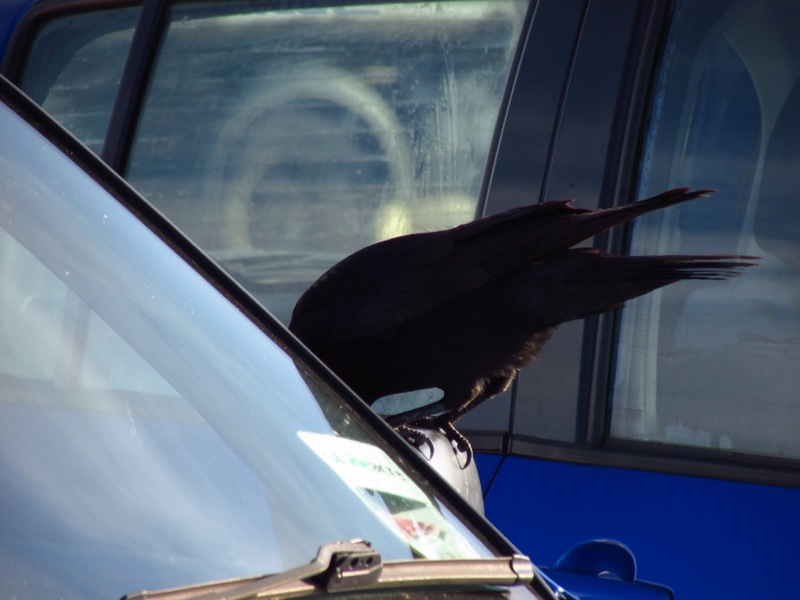 This one spent some time checking itself out in the wing mirror of a car. 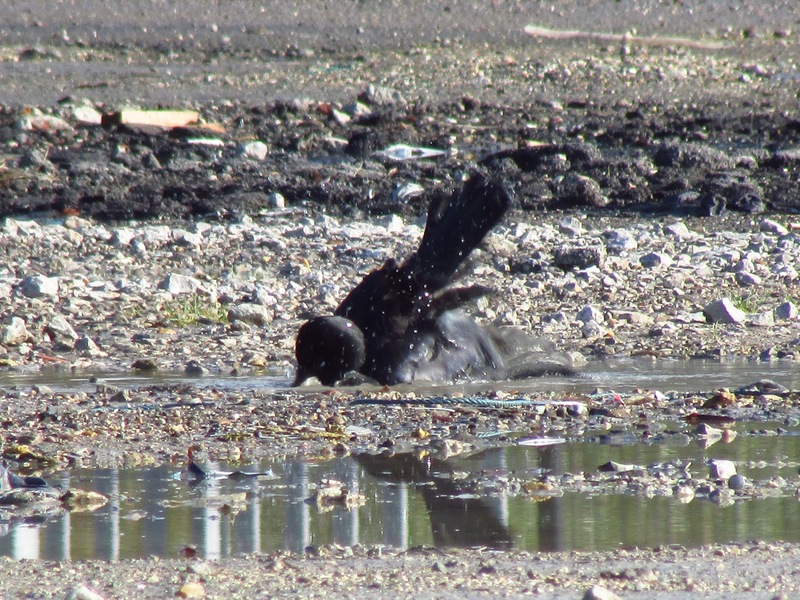 After filling their tummies, some crows took turns in the puddles for a bath. What lovely pictures. 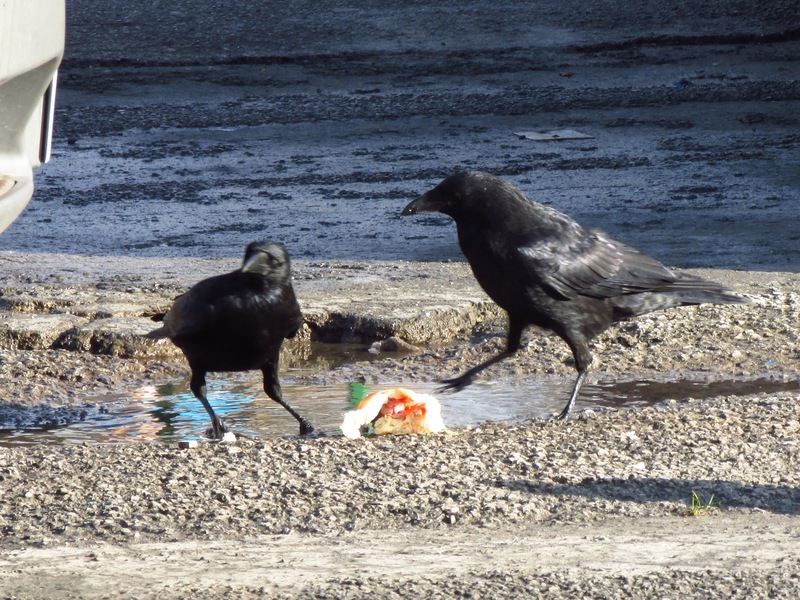 Crows are such fun to watch. 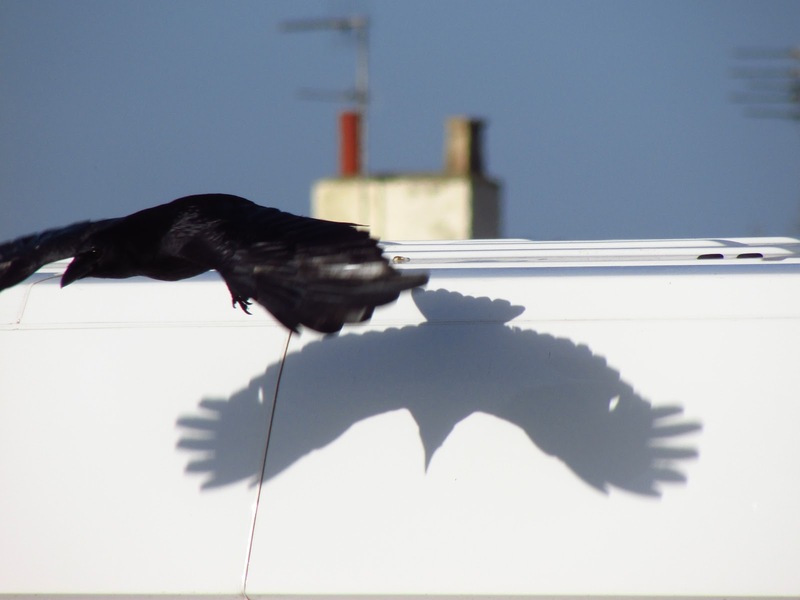 Do you think that the crow recognised its own reflection in the mirror? 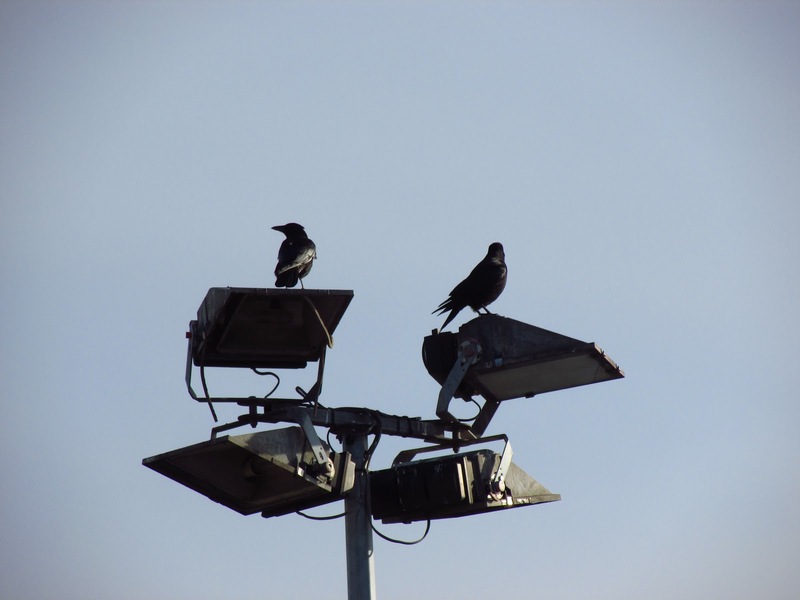 It seemed interested rather than acting as if facing a rival. 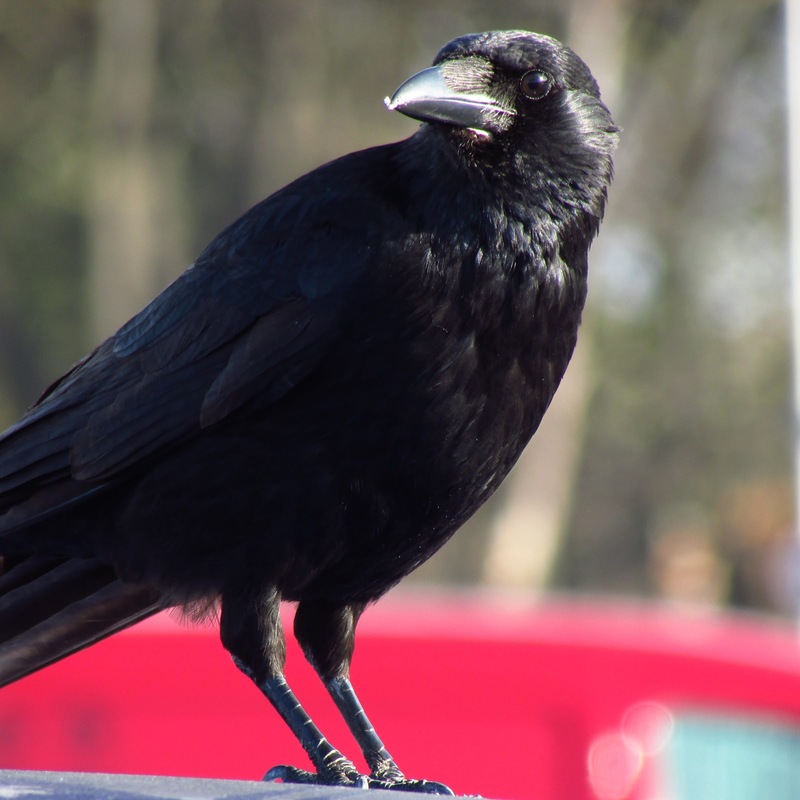 Scientists talk of a select club of animals that can cope with the idea of a reflection -- chimpanzees and the usual suspects -- but don't seem to include these highly intelligent birds in it. Actually I think the theory may be rubbish: town pigeons constantly land on windowsills and see their reflection in the glass and accept it as a normal event. 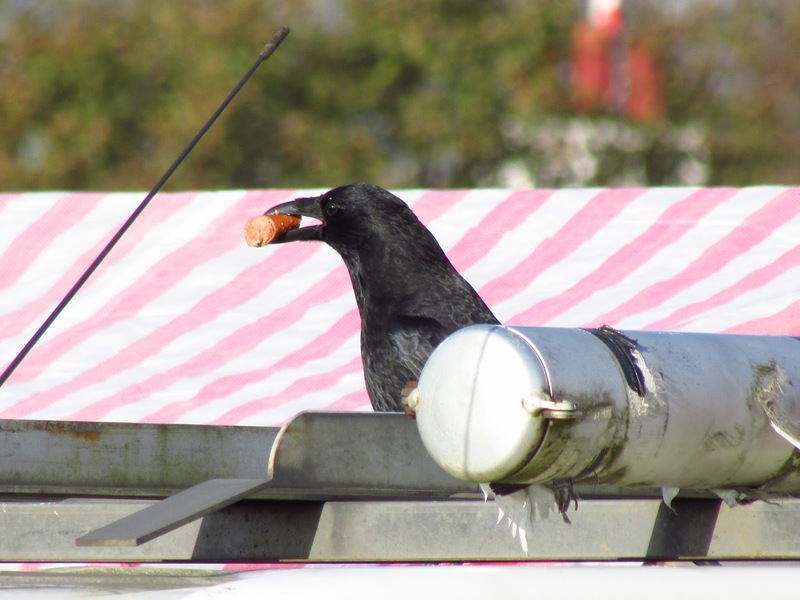 Thank you Ralph, they never cease to amaze me, such adaptable birds. 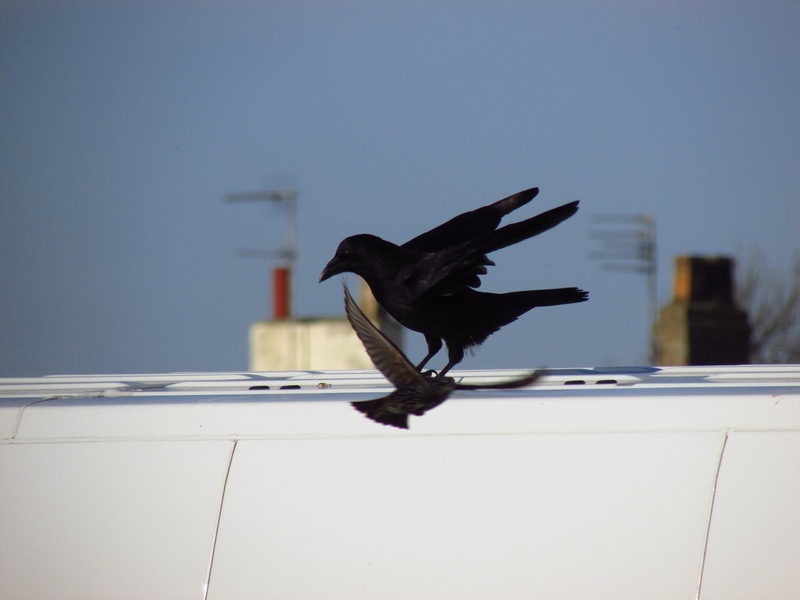 And each local crows have their distinctive habits. Others I know seem to spend their days walking up and down grass feeding on invertebrates and spying on the grey squirrels to then find their hidden food. 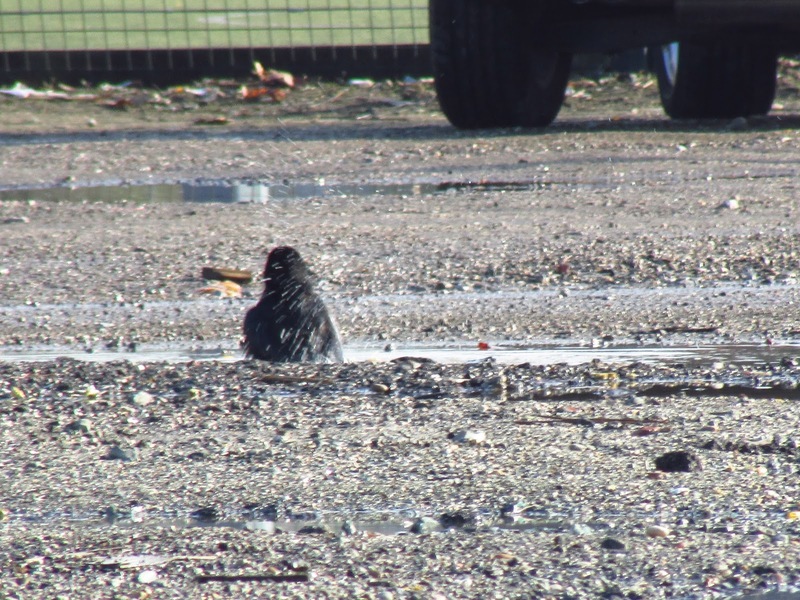 I wish I had got a better view of the crow with the mirror, I spotted it from a distance and I didn't get very close before it flew away. What a super post, these are some of my favourite birds. There are quite a few locally and I love to watch them.